Patrocinium Systems is an emergency event management platform providing real-time information about the personal safety of individuals during an emergency. Founded in 2015, Patrocinium’s mission is to provide the public and responders with a flexible, cloud-based tool that reduces recovery time, cost, and loss of life during an emergency. Based in Washington D.C., Patrocinium’s platform can serve diverse clients like oil rigs, airports, football stadiums, malls, schools, and office buildings small and large. Patrocinium’s platform is a collection of microservices – authentication, event streams coming in, alert streams going out, mobile device API endpoints, etc. – with very largely distributed applications talking to each other. That is why when Tirey first joined Patrocinium, he was immediately tasked with implementing a microservices-based infrastructure on Amazon Web Services using Docker and Kubernetes. He had a huge undertaking in front of him and there was no monitoring in place when he joined the team. Although expensive, for simplicity and ease of getting started he initially decided to go with a provider which offers an all-in-one solution around system monitoring, logging, APM, user sessions, etc. However, he quickly realized that for system monitoring, their existing solution left a lot to be desired. “With our prior provider there were so many alerts that weren’t actionable. Being on call 24/7 gets old and having false positives is a real problem. I found I was getting woken up in the middle of the night for a bunch of nonsense. For this particular provider, being a jack of all trades but a master of none was a real problem,” recalls Tirey. As a result, he made the decision to find and implement ‘best of breed’ solutions for each monitoring category, including finding a system monitoring tool with less noise and more actionable alerts. The Patrocinium team builds and deploys everyday and embraces the philosophy of DevOps. To ensure that the dev team continues to move at a rapid pace, Tirey looks to Blue Matador to help him be more proactive in addressing potential issues. For instance, he has found that when deployments fail in his Kubernetes cluster, Blue Matador will automatically alert him. “Blue Matador will actually alert that the deployment is unhealthy before the Kubernetes watcher catches it,” says Tirey. 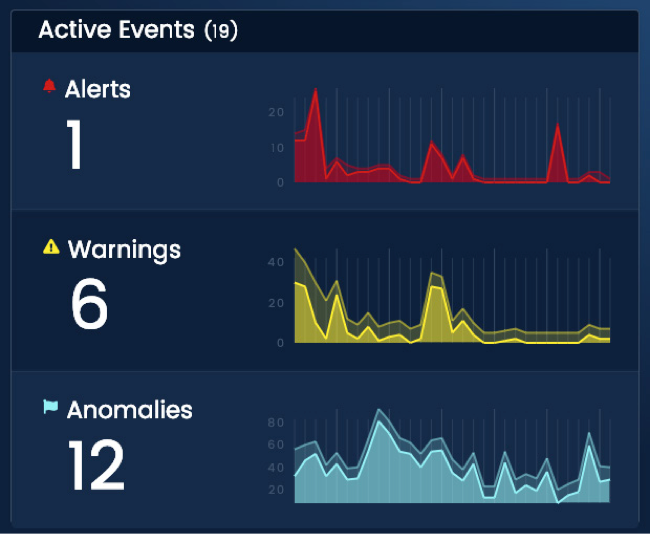 And Blue Matador’s anomaly detection allows him to address potential issues proactively. A few anomalies have been identified that he wouldn’t have known to investigate before Blue Matador. “I received consistent anomaly notifications regarding resolv.conf errors that I didn’t know was a thing...I had no idea we were generating this error in our Kubernetes cluster. It has been a persistent issue in our cluster for quite some time and I had no idea,” recalls Tirey. He has been able to look into these anomalies and address the issues before it turned into an alert. As Patrocinium’s platform continues to deepen and expand and new features are added, they are going to start using additional AWS services very soon, like API Gateway, Lambda, SNS, SQS, EFS, etc. For Tirey, it is nice to know that Blue Matador monitors each of these services out-of-the-box. “In the past when we discovered that our prior provider wasn’t monitoring everything, we then had to worry ‘is this service being monitored?’ Now we know that Blue Matador is pretty much monitoring everything. It is very rare that I go into an architectural planning meeting where we are discussing using a new service or tool and I have to worry if it is going to be monitored,” says Tirey. As the lead Site Reliability Engineer, Tirey’s ultimate goal is to ensure that Patrocinium’s development team continues to rapidly deploy new features to improve their emergency event management platform while maintaining their strict uptime requirements. Blue Matador is allowing him to achieve this goal.